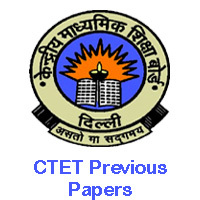 Download CTET Previous Papers here. Candidates who are searching for CTET Previous year question papers can download the central teacher eligibility test sample papers in the below sections. The students who are going to appear for Central Teacher Eligibility Test 2019 Exam can make use of this CTET Model Papers. Also, download the Exam Pattern, Syllabus, Preparation tips along with CTET Previous Years Question Papers. CTET Exam Date 2019 – 07th July 2019 (Sunday). Are you searching for CTET old question papers? You are at the right destination. Here, we have provided the CTET last 10 years solved question papers for the candidates who have applied for CTET 2019. The applicants should start the preparation to crack the Central Teaching Entrance Test. Before starting the preparation download the syllabus, exam pattern along with previous papers. With the provided CTET Sample Papers you can analyze the type of questions to be asked in the Examination. Practice more CTET Exam Papers so that you can easily answer the questions in Examination. Therefore, the candidates who are enthusiastic to get the Central Government Teacher Jobs can download the Last 5 years solved question papers and prepare hard to crack the Examination. We have provided all direct links for the Central TET Old Question Papers. So, candidates just click on the below links to get the CTET Previous Exam Papers instantly. Applicants must practice the National TET Solved Question Papers to boost up your regular preparation. Name of the Board Central Board of Secondary Education. Exam Name Central Teaching Entrance Test. CTET 2019 Exam Dates 7th July 2019. Central Teaching Entrance Test is conducted by Central Board of Secondary Education (CBSE) every year. CTET exam is eligible for both the State Government and Central Government. The candidates who are enthusiastic to do Post Graduation can apply. CBSE conducts the next CTET Exam on 07/07/2019. The candidates who get qualified in the CTET 2019 exam can work as teachers all across India. The selected people can be appointed as teachers for both primary and secondary classes. Recently CBSE released a notification for the State and Central Government Teaching Jobs. Interested candidates can apply for CBSE CTET 2019 on or before the last date. The aspirants who have already applied can download the CTET Old Papers provide below for your better preparation. CTET 2019 Exam is conducted as to different stages, i.e., Primary Stage (Class I to V) and Elementary Stage (Class VI to VIII). Paper-I of CBSE CTET Exam will be for the total of 150 marks and CTET Paper II for 150 marks. Candidates who are appearing for the Teacher Eligibility Test Examination should get the cutoff marks to get qualified in the exam. The candidates who are strongly willing to get the teacher Jobs, we are providing the CTET Exam Papers and TET asked question & answers. These Old Question Papers will help you to get a clear idea about the question and time to answer. So, Download the CTET Previous Papers and start practising. The CBSE CTET 2019 applicants can refer to the Teaching Eligibility Test Sample Exam Question & Answers. The interested aspirants who are willing to get teaching jobs either state or central government can apply to CTET 2019. Candidates who have already applied can download the TET can download the Syllabus, Exam Pattern, CTET Previous Year Question Paper at free of cost. Therefore, Download the CTET Previous Solved Question Papers and practise well to crack the CTET 2019 Examination. It is very hard to believe to ctet 2017 exam is not started.May be some official problem,but we students daily check it out.Now guide us When it will be started. last 10 years questions kaha pe milega ?? plss someone mail me .. I Am in b.el.ed 3 year. My results are not out. Can I fill the form? Will it be valid? How would i get previous years questions papers with solutions….. I will be moving into my second year of B.Ed in July 2018. So will I be eligible to apply for September 2018 CTET exam or should I wait for next year to complete my course and then apply? Please reply ASAP. Intermediate next can we apply for ctet exam. is the online application date is postponded? Can i apply this exam .My 12th result marks is 49% but I have O.B.C. Sorry !!! minimum B.Ed. (running ) is required for this exams . Sir please send this website all previous year 1St paper question paper with answer key. If new date will announce then may i eligible to fill form of ctet? I m graduate & b.ed qualified. I have to choose which option for ctet part 1?